In a perfect world, it’s always clear what’s right or wrong. In the real world, things are often not so clear. Someone’s wrong can be your right, which means your right will definitely, at some point, be someone else’s wrong. Most of the time, the “right” choice is subjective. In business, many of these ethical challenges appear in the form of bribes, conflicts of interest, issues of honesty and integrity, and whistle-blowing. In this section you’ll learn some of the special terms for particular kinds of unethical behavior in business. Bribery is the act of giving money, goods, or other forms of compensation to a recipient in exchange for an alteration of their behavior (to the benefit/interest of the giver) that the recipient would otherwise not alter. Many types of payments or favors can constitute bribes: tips, gifts, favors, discount, waived fees, free foods, free advertising, free trips, free tickets, donations, campaign contribution, sponsorship/backing, higher paying job, stock options, secret commission, or promotions. The key to identifying bribery is that it is intended to alter the recipients behavior. You are the purchasing manager for a manufacturing company. There are several suppliers from whom you can purchase component parts used in the production of your finished product. One of the supplier representatives comes by every Monday morning with biscuits for you and your staff. He calls you on occasion and offers you tickets to sold-out sporting events and sends a lavish gift basket every Christmas. Is this just good business on his part, building a personal relationship with you and your staff, or is there an expectation that, in exchange for his generosity, you will select his company’s product over the competition— even though he’s not the most cost-effective choice? Are you taking a bribe when you accept the football tickets? These small “tokens of appreciation” can be construed as bribes, and as a result, many companies prohibit their employees from accepting gifts from suppliers and vendors. One of the challenges in determining whether or not someone has taken a bribe or simply accepted a gift is that the social and cultural norms governing bribery and gift giving can differ from place to place. Certain monetary transactions are acceptable and appropriate in some cultures but not in others. For example, political campaign contributions in the form of cash are considered criminal acts of bribery in some countries, but in the United States, as long as they adhere to election law, they’re legal. Tipping is considered bribery in some societies, but in others the two concepts are very different. A kickback is a form of negotiated bribery in which a commission is paid to the bribe-taker in exchange for services rendered. Generally speaking, money, goods, or services handed over are negotiated ahead of time. The kickback varies from other kinds of bribes in that there is implied collusion between agents of the two parties, rather than one party extorting the bribe from the other. The purpose of the kickback is usually to encourage the other party to cooperate in the illegal scheme. Before dawn one hazy March day in L.A., Granillo pulled his SUV into a Starbucks near MacArthur Park, where he planned to pick up an envelope full of cash from an Arizona real-estate broker, federal investigators say. Granillo, a foreclosure specialist at mortgage giant Fannie Mae, expected to drive off with $11,200—an illegal kickback for steering foreclosure listings to brokers, authorities allege in court records. Granillo would leave in handcuffs. And investigators are looking into assertions by Granillo and another former Fannie Mae foreclosure specialist that such kickbacks were “a natural part of business” at the government-sponsored housing finance company, as Granillo allegedly told the broker in a wiretapped conversation. Regulators keep a close watch for kickback deals as the housing market heats up and new regulations take hold following the mortgage meltdown, which exposed widespread corruption in the housing and lending markets. Consumer Financial Protection Bureau Director Richard Cordray said his agency has moved to shut down kickback operations not only because they’re illegal but also because they reduce competition and increase costs to the public. Self-dealing, in which an official who controls an organization causes it to enter into a transaction with the official, or with another organization that benefits the official, i.e., the official is on both sides of the “deal”. Outside employment, in which the interests of one job contradict another. Family interests, in which a spouse, child, or other close relative is employed (or applies for employment) or where goods or services are purchased from such a relative or a firm controlled by a relative. For this reason, many employment applications ask if one is related to a current employee. In this event, the relative may be recused from any hiring decisions. Abuse of this type of conflict of interest is called nepotism. Gifts from friends who also do business with the person receiving the gifts (may include non-tangible things of value such as transportation and lodging). Margaret Hatch is a member of the Pasadena County Zoning Board that is responsible for approving plans for commercial development in the county. The zoning board is currently in the preliminary stages of reviewing plans proposing a new shopping center on the north end of the county. The plans include several fast-food restaurants, a multiplex movie theater, and several national retailers that do not have a presence in the county. Everyone on the zoning board agrees that this shopping center could create a new “retail/service hub” that would attract business not just from Pasadena County but from two neighboring counties, as well. Margaret’s family owns a considerable amount of farmland adjacent to the proposed site, and after talking with the developer, it becomes clear that future expansion of the shopping center would require the use of her land plus two parcels she does not own. Margaret talks to her husband, Phil, who is a real-estate broker, about the proposed development and what she believes it will mean to the future of the area. Several days later, Phil comes home and tells Margaret that he has spoken to the owners of the other two parcels and they are willing to sell their land for below current market value if the sale can be closed quickly. Margaret and Phil agree that they will use the equity line on their home to purchase the two parcels as soon as possible. How would the Pasadena County Zoning Board view Margaret’s actions? What will be the consequences of their purchase of the additional parcels of land? What happens when the owners learn that the uncultivated farmland they sold to Margaret and Phil has been rezoned to commercial and resold to a developer? What would the State Board of Realtors say about Phil’s actions? Is this just “being in the right place at the right time,” or is it something much less ethical? A code of ethics can help to minimize problems with conflicts of interest because it spells out the extent to which such conflicts are to be avoided and what the parties should do if they do arise (disclosure, etc.). Such codes also help raise awareness, making it less likely that professionals can legitimately claim that they were unaware that their behavior was unethical. In addition, the threat of disciplinary action (for example, a lawyer being disbarred) helps to minimize unacceptable conflicts or improper acts when a conflict is unavoidable. A whistleblower is a person who exposes any kind of information or activity that is deemed illegal, unethical, or not correct within an organization that is either private or public. Many whistleblowers have stated that they were motivated to take action to put an end to unethical practices after witnessing injustices in their businesses or organizations. In addition to ethics, social and organizational pressure are a motivating forces. A 2012 study found that individuals are more likely to blow the whistle when several others know about the wrongdoing, because they would otherwise fear consequences for keeping silent. The motivation for whistleblowing isn’t always virtuous, and the outcome isn’t always positive either. There are cases involving employees who blew the whistle as an act of revenge against their employer or supervisor, for instance. While it’s possible for the whistleblower to be viewed as a “hero” for her courage and truth telling, it’s also possible to be seen as a traitor or tattletale—as just one of the many disgruntled employees who are simply trying to get even for a perceived but imaginary injustice. One of the barriers to whistleblowing is the belief—widespread in the professional world—that individuals are bound to secrecy within their work sector. Accordingly, whistleblowing becomes a moral choice that pits the employee’s loyalty to an employer against the employee’s responsibility to serve the public interest. As a result, in the United States whistleblower protection laws and regulations have been enacted to guarantee freedom of speech for workers and contractors in certain situations. Whistleblowers have the right to file complaints that they believe give reasonable evidence of a violation of a law, rule, or regulation; gross mismanagement; gross waste of funds; an abuse of authority; or a substantial and specific danger to public health or safety. 2010: Cheryl D. Eckard, a GlaxoSmithKline (GSK) whistleblower, exposed contamination problems at GSK’s pharmaceutical manufacturing operations, which led to a $750 million settlement with the U.S. government related to civil and criminal charges that the firm manufactured and sold adulterated pharmaceutical products. Eckard was awarded $96 million in 2010, at that time a record for an individual whistleblower. 2012: Dr. Eric Ben-Artzi publicly came forward with his evidence of multi-billion-dollar securities violations at Deutsche Bank. As an employee, he discovered and internally reported serious violations stemming from the bank’s failure to report the value of its credit-derivatives portfolio accurately. 2013: Jim Schrier, a veteran USDA meat inspector, reported clear humane-handling violations involving market hogs at a Tyson Foods slaughter facility. After raising concerns to his supervisor, he was sent to work at a facility 120 miles away. His wife started a Change.org petition that has gathered more than 180,000 signatures asking the USDA to move her husband back to his original post near their home. 2013: USDA poultry inspector Sherry Medina has collected more than 70,000 signatures in a Change.org petition asking Tyson Foods to stop its excessive use of hazardous chemicals in poultry processing. Medina exposed the serious health issues that she and other inspectors have experienced while working at a Tyson plant in Albertville, Alabama. 2013: Edward Snowden is a former Booz Allen Hamilton federal contractor employee who disclosed information regarding the NSA’s blanket surveillance of U.S. citizens through a secretive data-mining program that collects the phone records, e-mail exchanges, and Internet histories of hundreds of millions of people around the globe. Whistleblowing is often the subject of heated debate and controversy. The Edward Snowden case is a good example. Widely discussed in the media and academia, the verdict on Snowden’s actions is still out: did he behave heroically or traitorously? Is it right to report the shady or suspect practices of the government? How does one choose between loyalty to one’s employer and loyalty to those affected by the employer’s (or government’s) wrongdoing? These are the ethical challenges one faces. Integrity means adherence to principles. It’s a three-step process: choosing the right course of conduct; acting consistently with the choice—even when it’s inconvenient or unprofitable to do so; openly declaring where one stands. Accordingly, integrity is equated with moral reflection, steadfastness to commitments, and trustworthiness. Being himself a graduate of an elite business school, a manager gives the more challenging assignments to staff with the same background. He does this, he believes, because they will do the job best and for the benefit of others who did not attend similar institutions. He doesn’t want them to fail. He believes his actions show integrity because he is acting according to his beliefs, but he fails the integrity test. The question is not whether his actions are consistent with what he most deeply believes but whether he has done the hard work of ascertaining whether what he believes is right and true..
Companies that value honesty and integrity can expect to see those values permeate their company culture. In such a climate, coworkers trust one another, employees view management with less suspicion, and customers spread the word about the company’s ethical behavior. Honest companies also don’t have to worry about getting into trouble with the IRS or the media on account of ethical wrongdoing. Even though a company may have to give up short-term gains in order to maintain an atmosphere of honesty and integrity, in the long run it will come out ahead. Read how seven business leaders made decisions to act with honesty and integrity. Play the simulation below multiple times to see how different choices influence the outcome. All simulations allow unlimited attempts so that you can gain experience applying the concepts. In appreciation for past client relationships, placing a new order, referrals to other clients, etc. Making good decisions about when business gifts are appropriate is extremely complex in the United States. In a global business environment, it becomes one of the most challenging ethical issues, since the cultural norms in other countries can be at odds with standard ethical practices in the United States. For this reason, gifts and bribes warrant a deeper discussion. Let’s examine one of Microsoft’s promotions that included a gift. "This would be a review machine, so I’d love to hear your opinion on the machine and OS. Full disclosure, while I hope you will blog about your experience with the PC, you don’t have to. Also, you are welcome to send the machine back to us after you are done playing with it, or you can give it away to your community, or you can hold on to it for as long as you’d like. Just let me know what you plan to do with it when the time comes. And if you run into any problems let me know. A few of the drivers aren’t quite final, but are very close." Clearly, Microsoft was hoping to encourage reviews of Vista and wanted to make sure that the bloggers experienced Vista on a high-end machine that would optimize performance. Did they also hope to influence the bloggers’ opinions of the company along the way? Sending the gift to bloggers was a risky marketing tactic even without the ethical question. Culturally, bloggers are a highly influential group of people with strong opinions, which they share openly to a wide audience. Many of the recipients reacted to the gift by sharing the news of the promotion and their opinions about it. A broad range of ethical issues emerged from the discussions in the blogosphere. Below are several excerpts. "Now that I know these guys (any gals?) have access to a tailored laptop, preloaded, etc., I know their wisdom is no longer that of The Crowd—I suspect it is going to be tainted (even if not the case), so I have already discounted them. And, since I don’t know who has and has not had the gift, I will distrust them all on this subject!" "If you’ve ever tried to add a new Microsoft OS to an existing computer, you know you can’t do that without totally f****** up your computer. The only way to switch to a new Microsoft OS is to start with a new computer. And, of course, to wait a year or two while they get the kinks out. Microsoft wouldn’t chance having dozens of bloggers writing about how VISTA screwed up their computers, so they installed the system on brand-new computers. They gave the computers as gifts instead of lending them to the bloggers for review, which is the norm when dealing with traditional journalists." "Microsoft’s approach raises some problematic issues . . . How many bloggers have received a notebook but have not declared it on their blog? Quite a few, I suggest, which highlights the fundamental problem with blogging, which is that bloggers are not trained journalists and not necessarily in tune with the ethical problems that gifts entail . . . Finally, sending bribes to bloggers is not a good look for Microsoft, and this is exactly how this initiative will be perceived. Even as they try to defend themselves, Microsoft’s PR gurus show that they do not understand the blogosphere." "That is a GREAT idea. After all, how can anyone have a decent conversation about Windows Vista without having put a bunch of time on one of the machines? Now, regarding blogger ethics. Did you disclose? If you did, you have ethics. If you didn’t, you don’t. It’s that black-and-white with me." While there was not a clear consensus on the ethics of this promotion, the debate drowned out whatever little positive opinion Windows Vista had generated in the blogs. The Microsoft case stands as a good example of a business gift program gone wrong. The company not only wasted the money spent on the gifts (none of the bloggers reported to have returned the laptops) but suffered weeks of bad press—and soured the commercial launch of the product. The Microsoft example provides a three-dimensional framework by which to evaluate whether a gift crosses the line into bribery. (Remember that a bribe is something given to induce someone to alter their behavior—in this case, to write a favorable product review.) The framework helps establish guidelines for keeping business gifting aboveboard. The chief problem with Microsoft’s gift was the content. Content refers to the nature of the gift itself (a shiny, new, top-of-the-line laptop) and the price ($2,000 or more). The company claimed that such a high-end machine was necessary to showcase the full capability of the Windows Vista operating system. And, they asserted, since the bloggers were given the option of returning the laptops (or giving them away), the issue of bribery didn’t come into play and the onus of acting ethically fell to the recipients. Nonetheless, Microsoft’s actions represented a departure from standard industry practice of sending preview disks of software to opinion-makers. While it might be acceptable to give out $2,000 gifts in other industries (like sending out expensive fashion clothing to movies stars), and one can dicker about whether $2,000 is or isn’t too extravagant, the point is that Microsoft broke with the conventions of its own industry. The key lesson is that what is being given defines the nature of gifting, and extreme care must be taken to determine whether that gift is appropriate. While the market price of a gift item can be used as a benchmark, the type of gift is as important as its price. If Microsoft had given out $2,000 worth of software, it wouldn’t have been so controversial. Another point, which Microsoft surely knew, is that items sent around Christmastime are more apt to be perceived as gifts. The other objection to the Microsoft gifts was the company’s motives for giving them. People argued that Microsoft sent the expensive laptops to bloggers as a quid pro quo. Though the accompanying email said “you don’t have to write about Vista,” that was mainly a legal disclaimer meant to protect Microsoft against formal bribery charges (U.S. corruption law prohibits corporate gifts designed to induce action by the recipient). The company may have kept itself out of legal hot water, but it remained vulnerable to the charge that it tried to exert psychological pressure on the bloggers to write about their “pleasurable” experiences with Vista. The other argument was that laptops were given to the bloggers so that they would lack the proper testing environment of mainstream tech journalists. 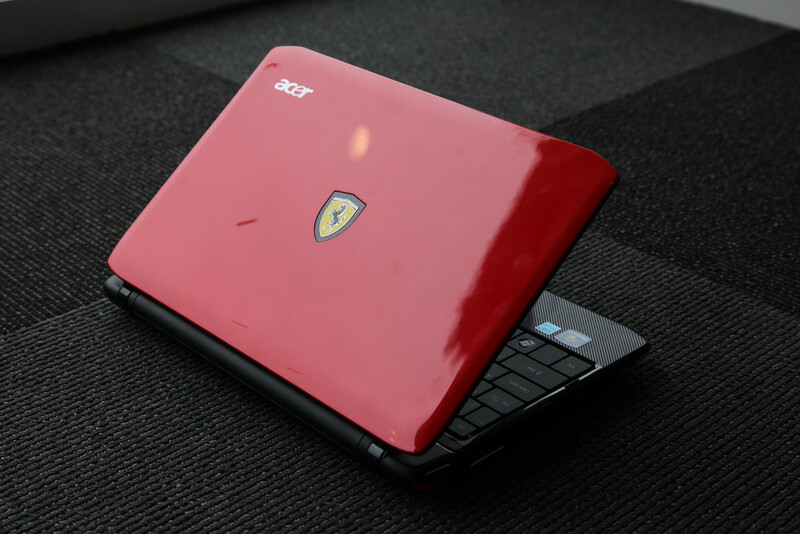 The bloggers were set up to write good things about Vista by seeing it function in a brand-new machine, tuned and tested for this purpose by Microsoft engineers. The experience of actual users—who might be influenced by these bloggers’ opinions—would be different, since they would have to install the software on older machines with no help from Microsoft. Critics argued that the company’s promotion was intended to create a false opinion of the market. While most businesses define what is a bribe and what isn’t in terms of the content of the gift, in most countries the matter is decided on the basis of context. So, regardless of the size, type, and value of the gift, if it can be established that the gift was given with the intent to induce an action, it will be regarded as a bribe. The lesson here is that it isn’t enough for businesses to set clear value/type limits on corporate gifts; it’s also necessary to scrutinize the motives behind the gift giving, think carefully about how the gift will be received, and stop short of anything that induces the recipient to crosses the line of ethical behavior. Thus, culture is clearly the third very important aspect of gift giving. It’s crucial to establish clear boundaries and protocols so that gifts are truly received as gifts—not as attempts to influence. To do that means factoring in the recipient’s mindset and culture, since what may be perceived as a gift in one group may seem like a bribe in another. The “cultural” dimension is easily understood in personal gift giving (a toy truck might be an excellent present for your six-year-old nephew, but it wouldn’t be appropriate for your boss or grandparent). Yet, somehow the idea of discretionary gift giving hasn’t gained much ground in business. However, understanding the cultural preferences of the receiver is obviously an important issue in international business.